I have worked with a lot of families over the years, and my primary observation is this: being a parent is hard. I think being a dad is especially hard because much of what children really need to thrive–affection, attention, compassion and patience, among many other attributes–are things that men may have the capacity for, but are discouraged from providing based on societal pressures and norms. However, the moments I see between fathers and their children during my portrait sessions embody all of these good, vital things and more. It gives me hope about our future to see this love and connection on display. 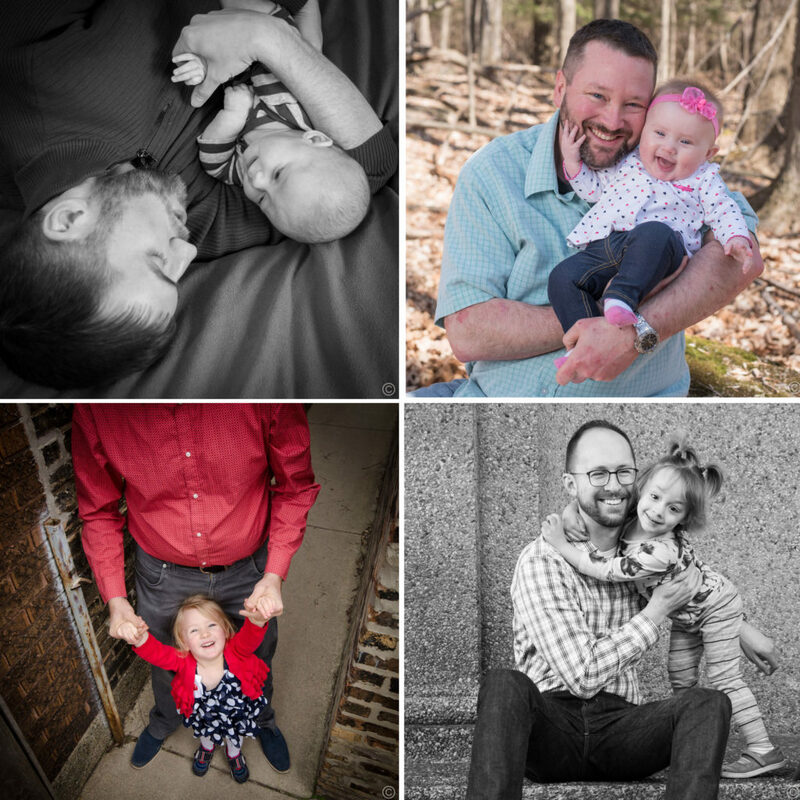 A few of my favorite dad moments from the past year are below. You can hop over to our Facebook page or our Instagram feed for more. Consider booking your own quality time with Tipping Point Photography: check out portrait session information here.